It was an easy and cost-effective way to share my experience with my four-year-old, nine-year-old and 76 year old grandpa. Not to mention they provide quality insight on everything there is to do in the parks! That’s why I want to share my own booking experience through Reserve Direct along with our own handy tips and must-dos from the perspective our family. Just three days before our LEGOLAND® adventure, my Dad and I booked the tickets together. At 76 years old he is pretty internet and technology savvy, so when I saw a smile on his face as he told me how easy it was, I knew I was not the only one! With the ease of vacation booking at your fingertips tips, it only takes takes three easy steps until you’re set to go! Once finished at check-out, pay, select how to receive your tickets etc and you are done. Customer service, tips and reviews on hand. 2) Review your cart in check-out, pay then select whether you’d like your tickets by email or mail. That's all we did... after 3 minutes we were able to review and talk about what we were going to do inside of LEGOLAND® California Resort + SEA LIFE® Aquarium adventure. Check out the entire process on my YouTube video here. 3) That’s it! 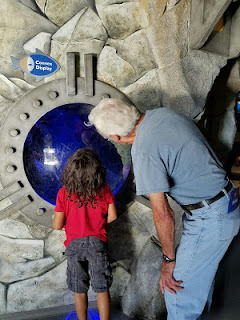 After three minutes we were able to review and talk about what we were going to do inside of LEGOLAND® California Resort +, SEA LIFE® Aquarium adventure. Check out the entire process on my YouTube video here. Because Reserve Direct has an exclusive deal with LEGOLAND® California Resort and SEA LIFE® Aquarium right now, anyone can take advantage of this offer. But don't feel rushed into using your tickets. Your LEGOLAND® California Resort + SEA LIFE® Aquarium (yes it's both!) ticket, when purchased by October 31st, can be used until December 25th! At the entrance I scanned our tickets via my mobile email. Simple! 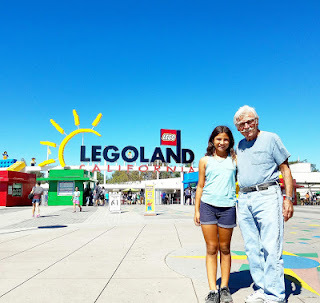 We have been to LEGOLAND® California Resort and SEA LIFE® Aquarium many times, it's one of our favs, so to have my dad choose what he wanted to do with the kids was really fun to watch. A lot of you know that we lost my mom when I was pregnant with my first and Papou has really stepped up to fill both their shoes and be the best Grandparent he can be to all his 6 grand-kids. To treat him to a day where he is the Master Builder is needed here and there, and to save money doing things like this go a long way for us. 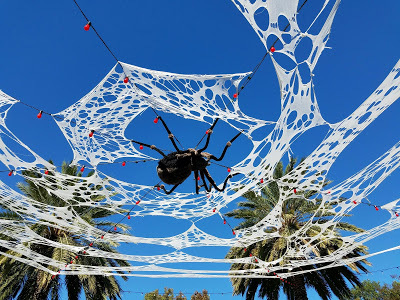 It was so cool to see the spooky side of things around LEGOLAND® California and the Brick or Treat decor that was up. Check out this spider that we just could not get enough of. Mikey thought it was hilarious to run under and sneak away from the giant creepy lingering eight legged fright! 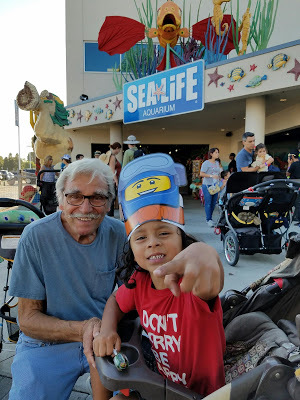 On our way out to the SEA LIFE® Aquarium entrance (you can enter directly from LEGOLAND® California) we decided to stop by the kids roller coaster. It is pretty mild but at the same time I wanted my 76yo dad to make sure he was comfortable riding it! He said "Let's ride it" so we did. It was so great to have my kids sit together while I sat with my dad and screamed with laughter. We have not done that in over 20 years. We got off the ride and he told my daughter that the reason things like this are so special is because he used to ride the same bigger rides with me that I ride with her. To see that we were able to ride together and one day she would do the same for me when I am older, that was the magic and most amazing thing to experience with him. After a full day of fun inside LEGOLAND® California Resort and SEA LIFE® Aquarium I asked everyone what their take on the day was, their favorites and what tips or info we could share about our visit. 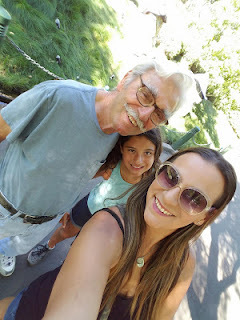 * Showing Papou their favorites in Mini Land - always fun to see. * They love that there is a driving school for each age limit. 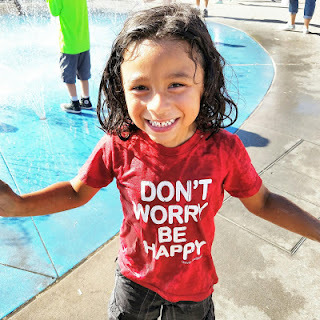 They were both able to drive in their over 6yo and under 6yo driving attractions - super autism friendly for my son as they help as needed - see video here. * The Ninjago ride. It is pretty amazing. Using 4D realization each guest gets to use hand movements to throw Ninja stars to defeat and win... keep practicing to up your game score! * Being there to see the kids laugh and be so happy rising rides with him. 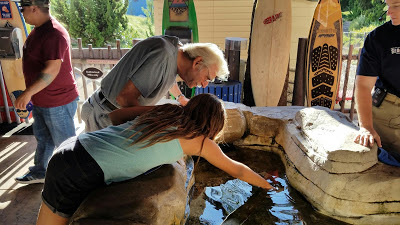 At 76yo he's a trooper and says yes to the kids...always..
* Showing the kids a puffer fish at the SEA LIFE® Aquarium and telling them the story of how he got pierced by one in the hand many years ago. Yes he showed them the poke hole of where it happened. Ha! 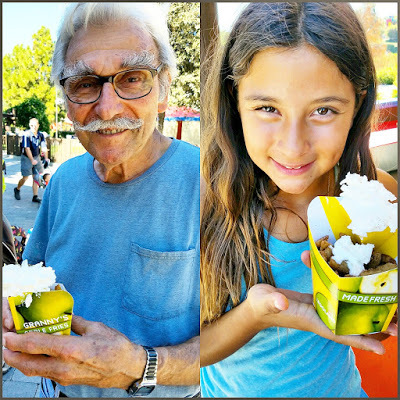 * Trying grannies apple fries...that's all you need to know, just try them or a few orders of them...seriously he loved them too and made to sure to get all the whip cream out! * Ninjago - he is an engineer so this was a dream for him to experience and in his first go at it, yup, beat us all out on his score by a lot! Go dad! * Las Vegas Strip inside of Mini Land - he loves how it reminds him of how much fun he and my mama would have for years visiting Las Vegas. Memories he holds on to. * Start to the right side of the park - less crowded as most guests just naturally start to the left. 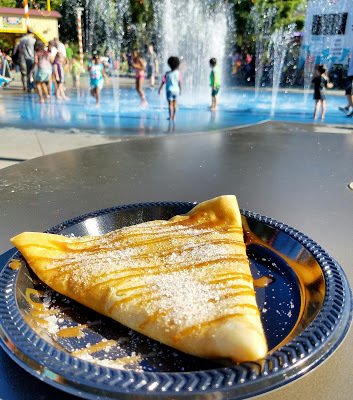 * Download the app for wait times, specials, 411 on the the happenings throughout the day and BOGO free Pumpkin Crepe. So good! * Take small breaks in fun places that keep kids shaded and cool while you take a breath. A good spot to do this is in Heartlake City Horse Stables and Ninjago World where there is a lot of share, food and plenty to still do. * Kids eat free - at Pizza Pasta Buffet kids eat free with paying adult after 3:30pm. Wow!! We use this each visit if possible since by that time everyone is super hungry. 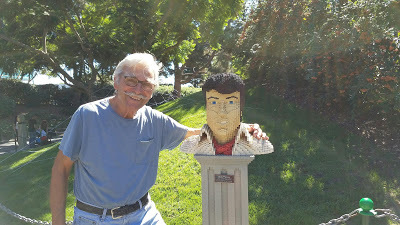 If you were not able to catch any of our live posts from Saturday, please feel free to click on this link or this one too so you can see some of the action and fun we experienced at one of our favorite Southern California theme parks....LEGOLAND® California Resort! For more adventures and planning you can also follow Reserve Direct on Social Outlets with handle @ReserveDirect or search the hashtags #ReserveDirect #DiscoverMore ! 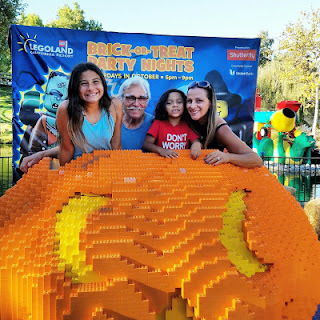 To celebrate this awesome bricktastic offer, we have partnered with Reserve Direct to do a special Giveaway to LEGOLAND® California Resort + SEA LIFE® Aquarium! Thank you for entering and good luck to all! See our day in review video here! Reserve Direct is your best planning choice for complete destination planning and booking. With 16 destinations across the US and expanding, Reserve Direct aims to offer the best prices on regional attractions and hotels as well as insight and tips to enhance your trip. LEGOLAND® California Resort is a top attraction on Reserve Direct's destination website, Reserve San Diego. As a trusted LEGOLAND® California Resort partner, Reserve Direct seeks to provide others the opportunity to experience all the amazing aspects LEGOLAND® California Resort has to offer. Thank you Reserve Direct for the opportunity to try your vacation planning out. I am grateful for the family fun and will be booking again soon. All opinions and writings are my own.